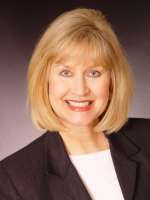 Suzanne Lewis has been serving home buyers and sellers in Corpus Christi and around Texas since 1979. Suzanne’s success is based on an excellent reputation, extra-effort service, and referrals of satisfied customers who become friends. If you want a person who is trustworthy, committed and pleasant to work with, choose Suzanne as your REALTOR®! Suzanne is a member of United Methodist Church. She graduated with a B.A. in Business from Stephens College in Columbia. Suzanne also attended University of Texas at Austin and Maryrnount Palas Verdes in California. She has been a REALTOR® in Corpus Christi for over 20 years. enthusiasm, market knowledge and hard work will put you completely at ease. If you are considering buying or selling a home, please do not hesitate to call or email today.